In March 2009, Apple officially announced iPhone OS 3.0, the upcoming operating system update to the 2.2.1 software currently running on iPhone, iPhone 3G, iPod touch, and second-generation iPod touch hardware. 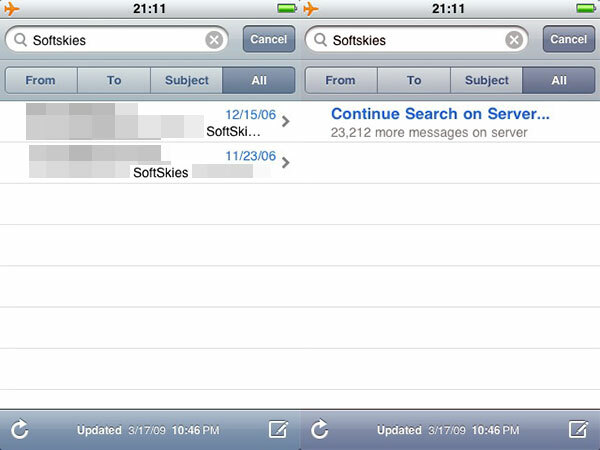 A beta version of iPhone OS 3.0 was released soon thereafter, showing off many of the disclosed “consumer” features of the new software, as well as a number that had not yet been mentioned by the company. In late March, 2009, a second beta version was released, and additional features were uncovered, including some that turned to be available only to users of the iPhone 3G S, the “third-generation” iPhone that Apple officially announced on June 8, 2009, and will release on June 19, 2009. 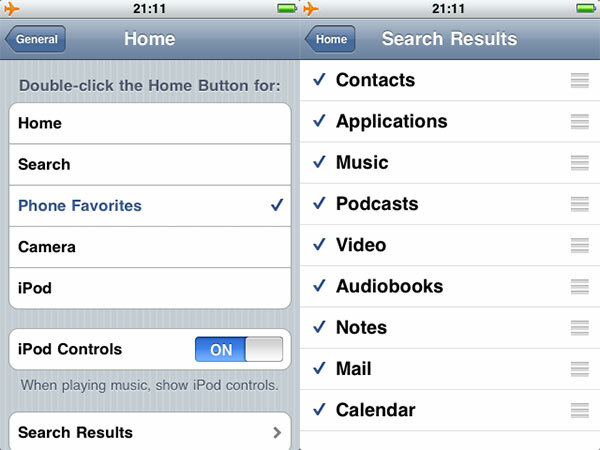 This article looks at the new consumer-side features in the iPhone and the iPod touch versions of iPhone OS 3.0, additionally spotlighting their differences and interactions with iTunes 8.1. 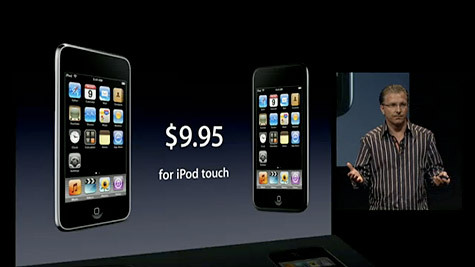 The iPhone OS 3.0 will be released on June 17, 2009 for iPhone, iPhone 3G, and iPod touch users. iPhone owners will receive the update for free, though iPhone 3G owners will benefit from certain features not found in the standard iPhone version. iPod touch and iPod touch 2G users will have to pay $10 for the new software, and again, original iPod touch users will be lacking for certain features found in the iPod touch 2G version of iPhone OS 3.0. We’ll discuss the known limitations, below. While many users expected that Apple would introduce a radical new approach to organizing or grouping applications, the company did not do so in the initial beta release of iPhone OS 3.0. 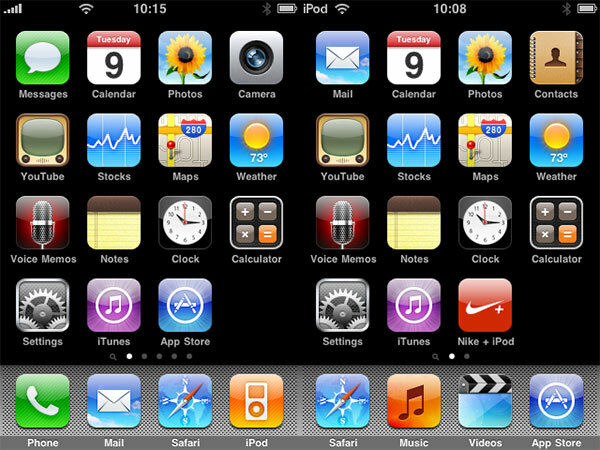 Instead, the Home Screen received only minor changes: the Text app was renamed to “Messages” and given a new icon, the Stocks icon was updated, with sharper peaks and no calendar months at the bottom of the icon, and a tiny magnifying glass icon was added to the left of the white and gray page number indicator dots above the dock. 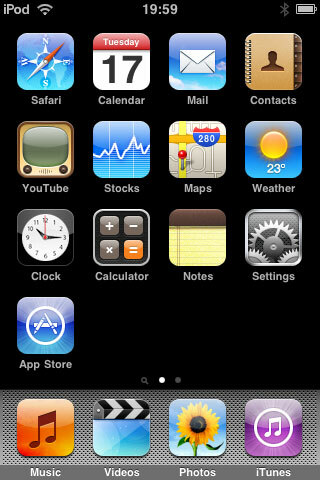 The iPod and Phone icons also received diagonal line tweaks to make them look more like the new Messages icon. The most significant of these changes is the smallest: the magnifying glass. Now, when you click on the Home button twice from any other application, you’re brought to the first page of icons; clicking one more time from the Home screen, or flicking this screen to scroll to the left, brings you to Spotlight, a new application that has its own page. 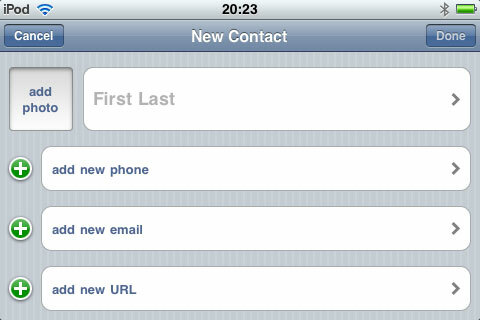 Having added a Search feature to Contacts in the prior version of the iPhone OS, Apple has now added active Search bars to Mail, iPod/Music, and other applications, as well as the ability to passively search the entire device using Spotlight. Spotlight lives off to the left of the main Home screen, and lets you type in letters, words, or numbers to search your entire device for matching applications, text, contacts, calendar events, or media files. Interestingly, Searches can in some cases—as with Mail—go beyond the scope of the iPhone or iPod touch’s own contents and actually expand outwards to content found an an external server. Here, Mail enables searches of an entire Google Gmail archive. Search results for Spotlight can be customized to let you display Contacts, Applications, Music, Podcasts, Video, Audiobooks, Notes, Mail, and/or Calendar events; you can switch the order of displayed results and turn individual types of results on or off. 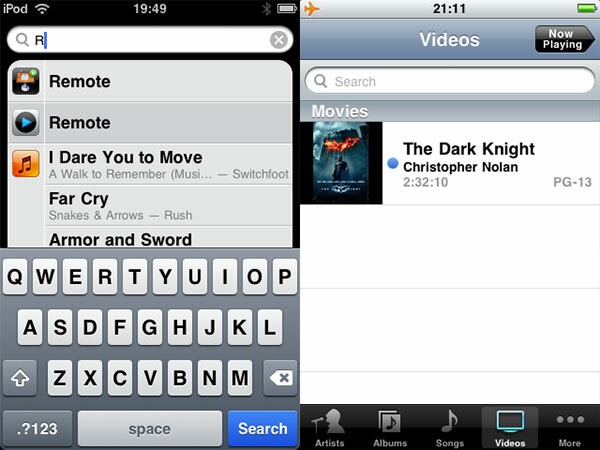 Another major change is the long-requested addition of widescreen modes and keyboards to a number of the key iPhone OS applications, including Mail and Notes. 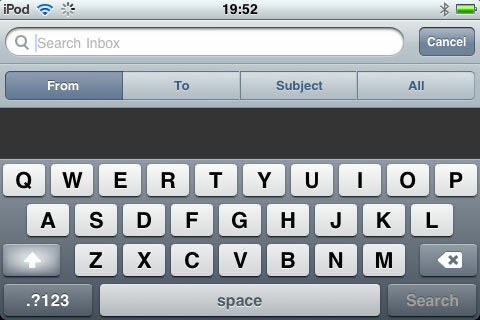 This change enables users to take advantage of a superior, larger keyboard when typing messages to others or themselves. 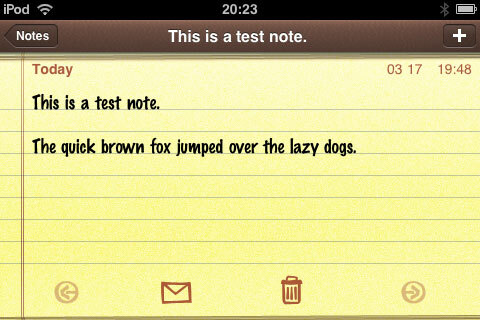 Widescreen isn’t just limited to Mail and Notes, though. 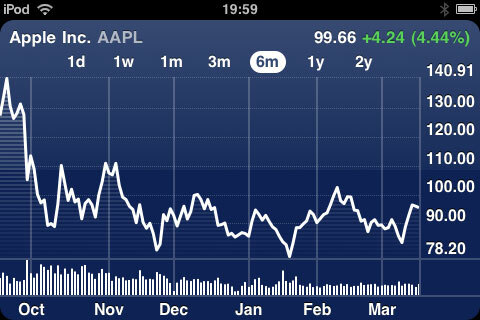 It also appears in Contacts, as well as enabling a new, higher-detail display of stock performance in the Stocks application. While not every app has been given a widescreen option, this appears to be Apple’s new way—following the example set by Calculator last year—of expanding the functionality of existing applications using the accelerometer as an easy to way to access a second screen. PreviousA Button which kills Xbox Live! NextiPhone 3G 3 Chipset 720p Recording, Real-time Video Conferencing Capable?